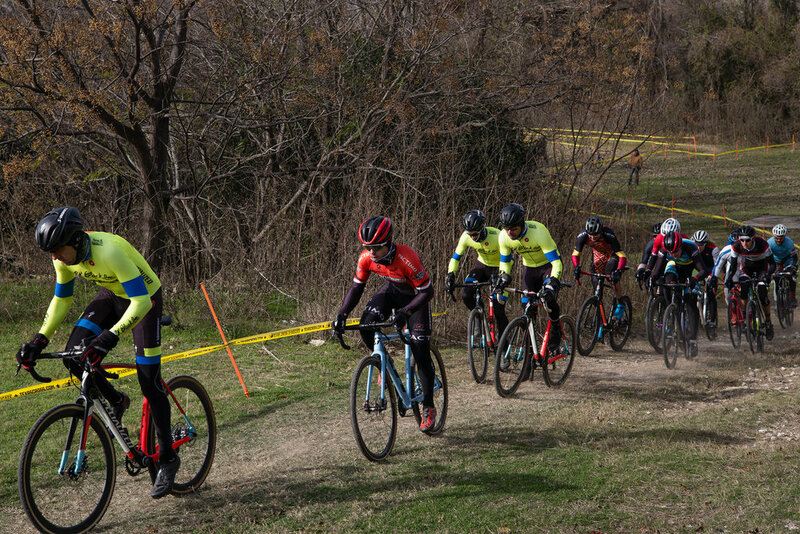 The last race of the 2016 calendar year was the Highlander CX Cup in Waco, Texas. 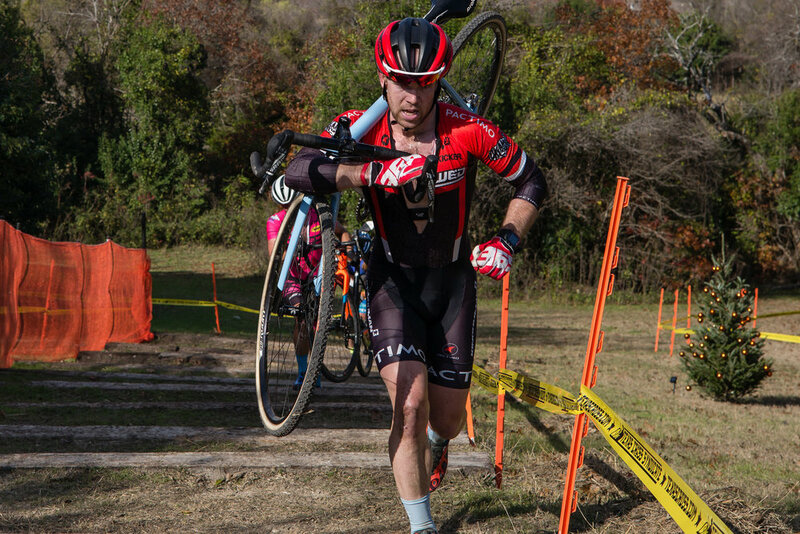 A part of the Southern CX Series, Highlander in the final piece of the three-week series the descends from Ruts N’ Guts in Tulsa, OK down to Texas. With the holidays fast approaching, I was looking forward to the race and pending vacation back home to Florida. The skies were gray and cloudy on Saturday morning and I was in full anticipation of some sprinkles before the race. But, much to my surprise there would be no wet weather this weekend. The annual event is held at the McClennan Community College campus. Having done this race for three seasons now, I was fully anticipating the suffer fest that I was about to endure. The track has several great features and technical bits. After descending to the lower field, the course winds its way back up the hillside on more than one section. With technical climbs and fast off camber descents, racers are forced to navigate the course as they struggle for oxygen with crossed eyeballs. Power, skill, bravery. You better have all three in spades and then some to be at the head of affairs in Waco. I got off to a good start and settled in fourth wheel as the SPCX team from Oklahoma set up a three-man time trial at the front. Knowing the demands of the course, I tried to be patient and not go too deep, too soon. After a couple of laps, the front group was pretty well established. Try as I may, I found myself struggling on the one off-camber rise in the woods. Even though I had ridden it fine in practice, my luck had changed in the race. I felt uneasy and could never really get the measure of it. It didn’t take long after closing the gap after this section for the elastic to break. In an instant, Chris Drummond and Jake Lasley opened the gap and I was left to try and close the gap. The third member of the Okie squad, Paul Bonds was on my wheel, and no doubt was frustrated with my ineptitude. I kept the pace steady and it seemed like I was making some headway. My mind started to turn towards the end of the race and how I could get away. But in that instant my engine seemed to begin losing power. This time, Paul wasn’t going to sit on my wheel, and set out to complete the podium sweep. I rode the last two laps frustrated and a bit bummed that I couldn’t get on terms with the leaders. I was able to keep my hold on 4th place and crossed the line sweaty and exhausted. It didn’t take long for the cloud over my head to dissipate. Sunday would be a new day and a chance to do, at least, one spot better. Mother Nature must have accidentally bumped the thermostat overnight. 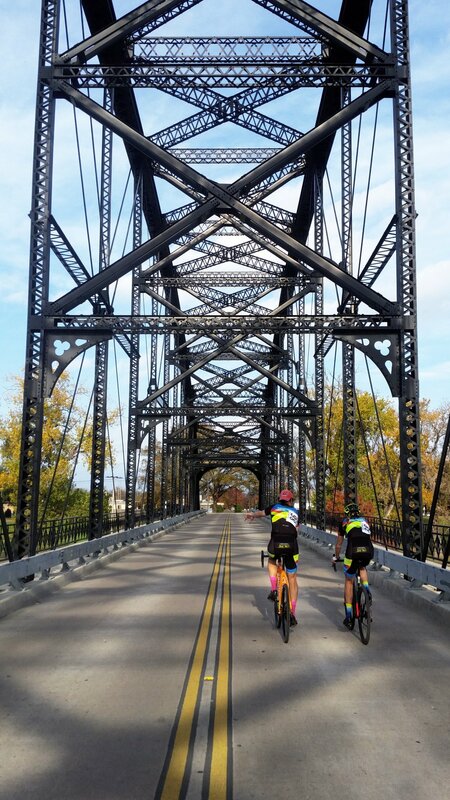 The sunshine and warmth of Saturday was replaced by blustry, cold temperatures on Sunday. Today would not be a day to worry about overheating, for sure. I arrived at the course early and with few changes, I stayed more focused on staying warm and finding the correct combination of layers. A changing room at the mall has probably seen fewer combinations than I went through in my car. I was able to get a couple laps in before heading to the line. Cold and chattering, I wished I could have raced in my North Face jacket. Again, I got off to a good start as we charged up the hill for the first time. I didn’t wait for the SPCX squad to set up at the front and instead, moved to second wheel behind Chris. 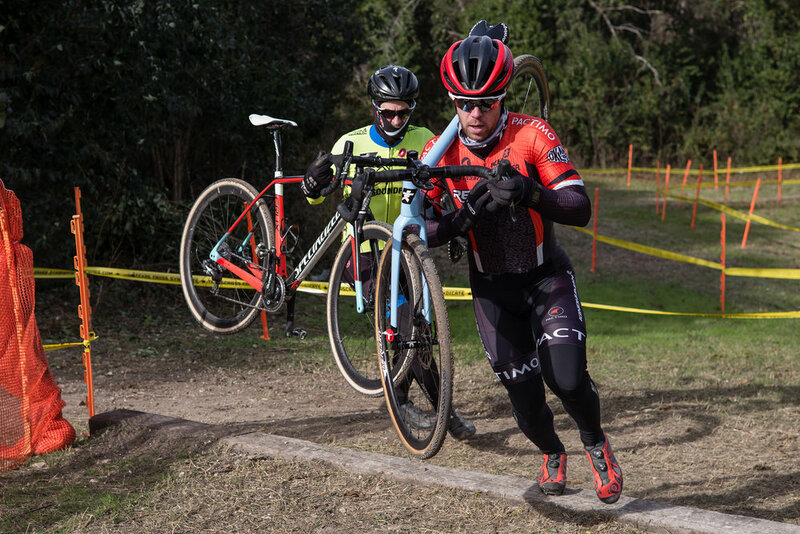 I could tell the legs were starting early and I made accelerations on several occasions to up the pace and make the rest of the SPCX riders work to get to our leading duo. More importantly to me, I was on a pretty good day and that boosted my confidence in the race. Eventually Jake was able to make the juncture to our group and the three of us started the tactical race to the line. Once again, the technical rise in the woods would prove my demise. With Chris and Jake leading the race, I chose to run the section. Peering under his arm, Jake noticed that I was off the bike and hit the throttle. I stayed calm and kept turning the pedals over to try and close the gap. But on the next ronde, my confidence would take a hit and I slid out. With that, the gap was opened for good and I was left to pedal in third place. To further complicate my frustration, I started to believe that my tires were going flat. Whether it was mental or reality, my confidence started to sink and frustration mounted. I took a new bike but in that time I was caught and passed by Mat Stephens (Bicycles Plus). Rather than get fired up, my mental focus suffered and I descended into a sulking pedal to the line. I had to finish out the last half a lap with alacrity as the group battling for fifth through seventh was only seconds behind, but crossing the line I was less than stoked about my race. 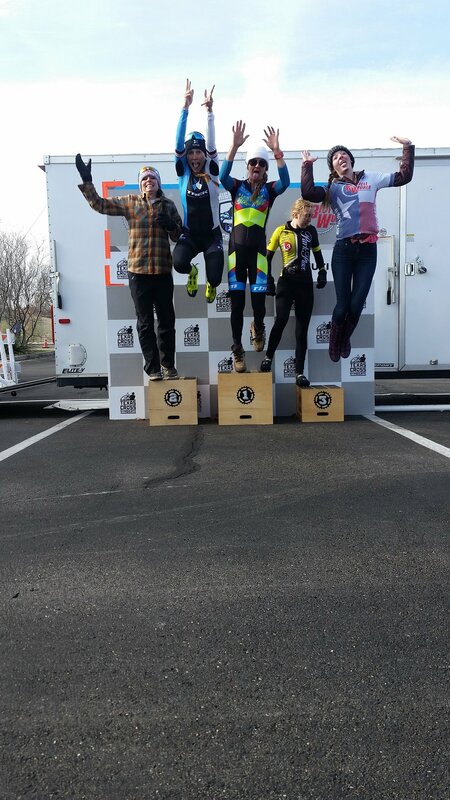 While consistency is important, I knew that I could have put together a better race. 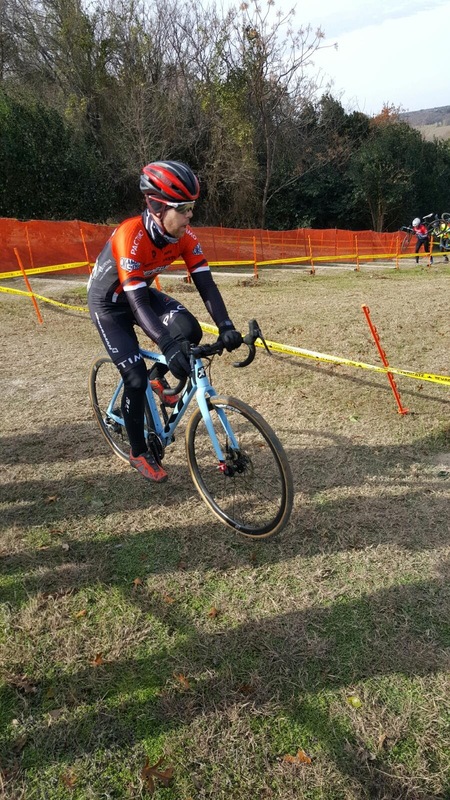 And while I had hoped that I could have ended the calendar year on a brighter note, knowing that I have more to give and a quick break for the holidays is more than enough motivation going into the National Championships. With that, I can be satisfied.